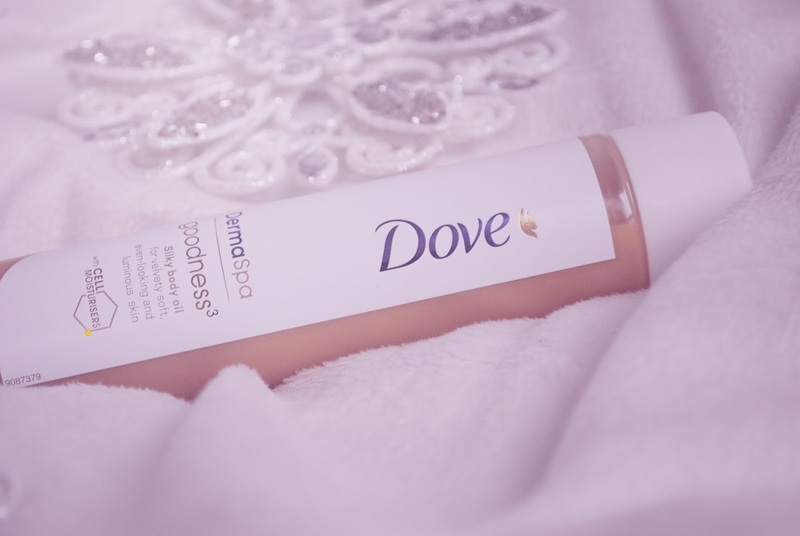 Today I decided to review a new body oil from Dove (Dove DermaSpa goodness Silky body oil). I saw it the other day in a beauty store (Drogas) and instantly decided to buy it. Probably the main reason was that the oil inside the bottle has a beautiful golden pearly colour, so I thought in my head that it will probably make my skin look divine and I was right! I have to say that my skin (especially my legs) is very dry during winter time and this body oil really saved me. It leaves my skin very soft and smooth. Dove also promises that this oil will make your skin look even and luminous. The best part is that it really does! 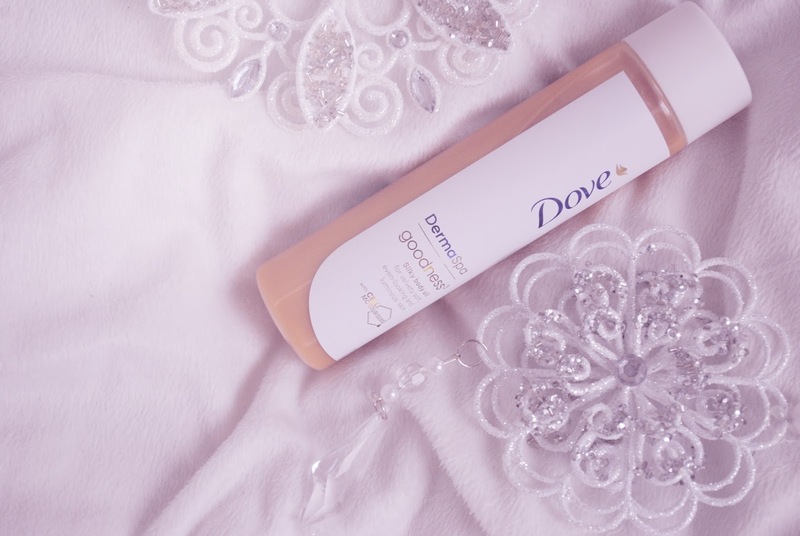 It kind of reminds me of a bronzing oil from the body shop, but Dove body oil doesn't have that bronzing shimmer in it, so it looks just as your natural skin, but more beautiful and more healthy. It also has a very nice scent, it smells like peaches to me and I really like it. This scent is quite strong and very "in your face", but I don't mind it, since it does a good job leaving my skin nourished. I think it's definitely worth buying and trying. Also they have another body oil, which I also saw just yesterday. I really want to try that one too, cause it suppose to improve elasticity and firmness of your skin. So girls, definitely check those out!